This post has been sponsored by SkinnyMe Chocolate. All opinions expressed are my own. 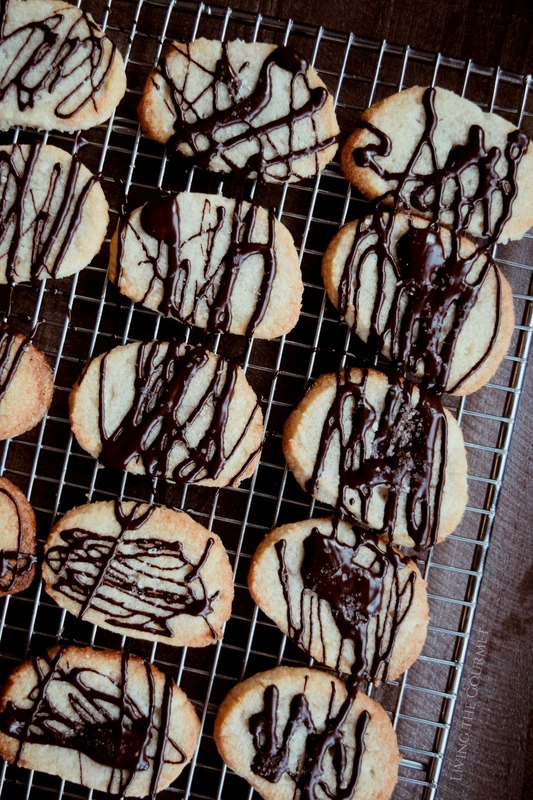 Shortbread Cookies get a makeover with this ketogenic, gluten-free version. The result is an ultra soft, buttery cookie drizzled in dark chocolate and sprinkled with Himalayan pink salt. Let’s play a little thought exercise, shall we? Suppose I prepared steak for you and I prepared it rubbed down with salt and pepper, reduced its fat in some herbed butter, and then fried that steak in the resulting buttery reduction along with sprigs of fresh rosemary, and perhaps a few splashes of pepper sauce if you so desired. The steak is cooked to perfection with the sear marks to prove it…and then I served it to you without a plate. I just plop the steak down in front of you on the table. Now, regardless of how clean that table may or may not be, your perception of the steak is ruined beyond repair. This is one of the cardinal challenges when preparing food for “specialty” ingredients or diets – except in the reverse order. 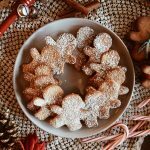 That is to say, something sugar-free or gluten-free is just as easy to prepare – beautifully – as their sugary and gluten-y counterparts. The challenge. Instead, is in making sure that they remain as true to the original flavor profile as possible. 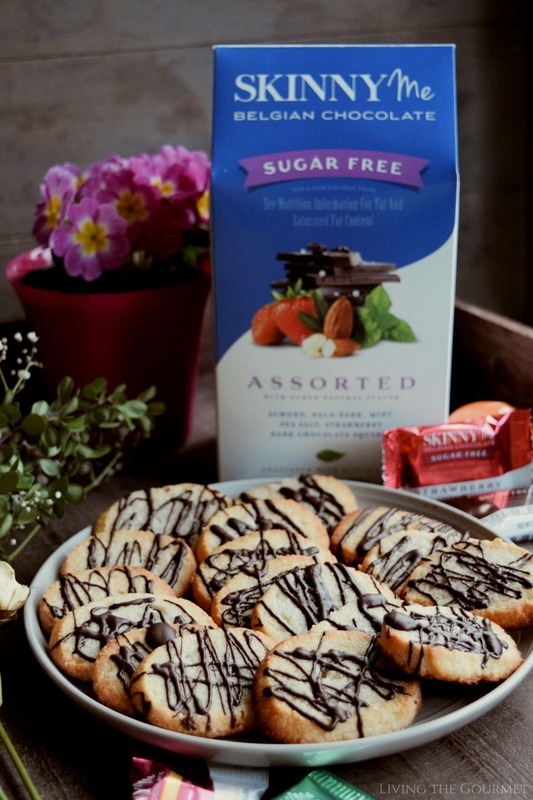 Enter these Keto Shortbread Cookies drizzled in SkinnyMe Chocolate and sprinkled with Himalayan pink salt. SkinnyMe Chocolate crafts zero sugar, 0.5 – 2.5 net carbs, stevia sweetened, Keto-friendly dark chocolate. They also offer a wide variety of flavors like strawberry, mint, almond, and sea salt, among many others. The end result was a soft, buttery cookie not like the traditional crisp shortbread- this actually won points of favor in my house. The chocolate was favorably received and the combination of sweet and salty was a perfect finishing touch. In the bowl of your standmixer fixed with the paddle attachment, beat flour, and butter until crumbly. In a small bowl combine 2 teaspoons gelatin and mix with equal parts water. Add the dissolved gelatin, shortening, and vanilla to the batter and mix until a soft cookie dough forms. Wrap the dough in clingfilm and shape into a log. Chill for about 30 minutes in the freezer. The dough can also be chilled in the refrigerator for 2 hours or overnight. Slice the chilled cookie dough. You should get about 2 dozen cookies. Bake for 8-10 minutes or until golden around the edges. Let cool slightly on the cookie sheets before transferring to a cooling rack. 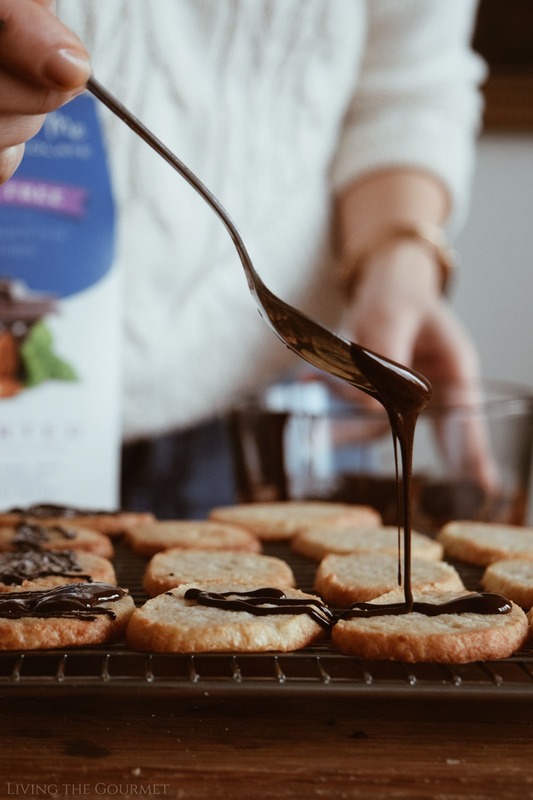 While the cookies cool, temper the SkinnyMe Chocolate in a double-boiler. 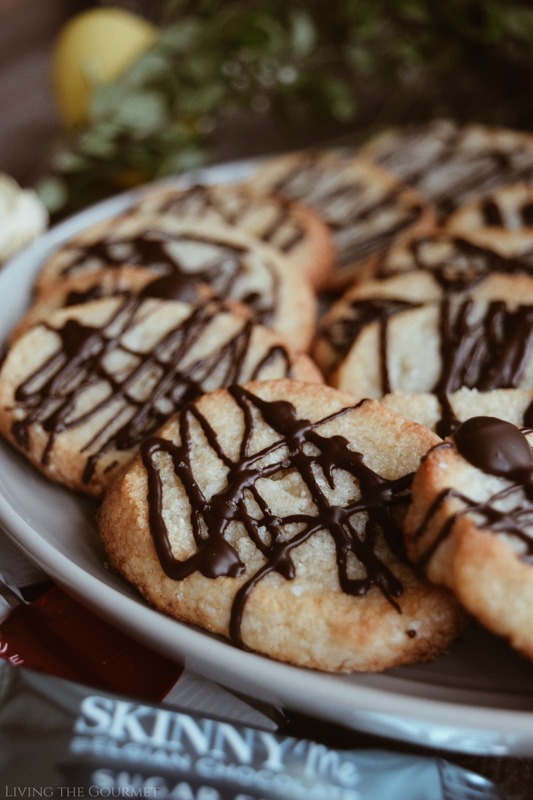 Drizzle the melted chocolate over the cookies and sprinkle with salt if desired. 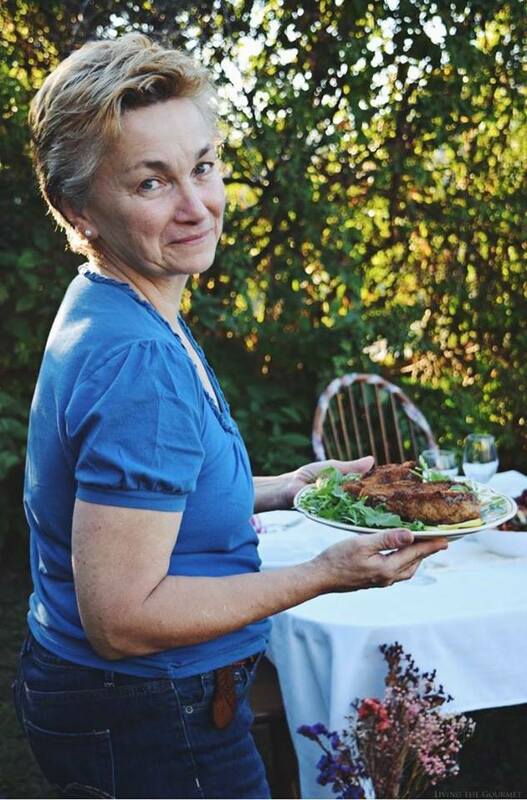 In place of xanthan gum, a gluten-free thickening agent alternative, I often use dissolved gelatin or a Flaxseed Egg . For this recipe I used dissolved gelatin by combing 2 teaspoons of gelatin with equal parts water. Stir just the gelatin has dissolved and the mixture has set into a soft jelly-like consistency. Keto cookies?! Count me in. Cookies that keep me on track are pure magic. Wow these look amazing! 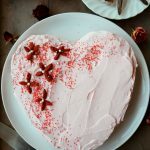 I just went Keto and have been looking for ways to fill my sweet tooth cravings. This is perfect! 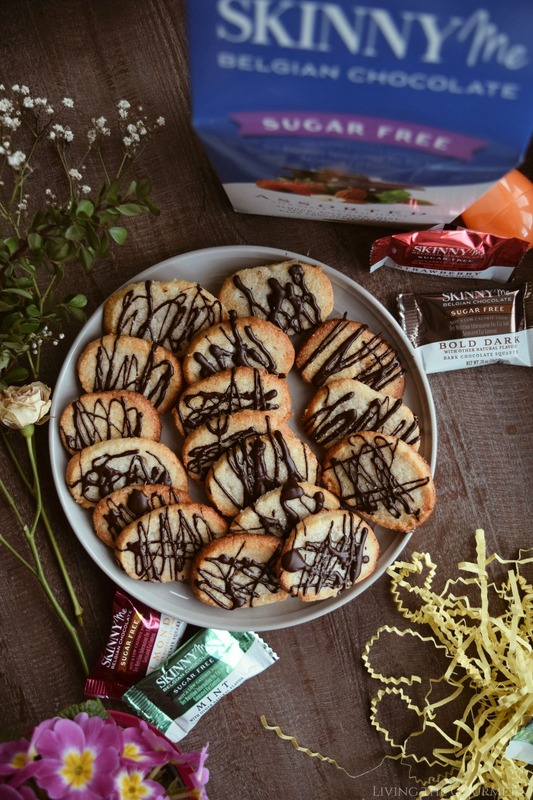 I have all the ingredients to back these delicious cookies and they're keto yessss!!! Thanks a lot. Skipped straight to the print. I need to try these right away! Are these cookies so tasty and sweet really for the keto diet? Yummy! What tasty looking shortbread cookies! It is great they are keto too for those following a keto diet! What a great recipe! People doing the keto diet can now indulge a little, without the guilt! Hmm yum! 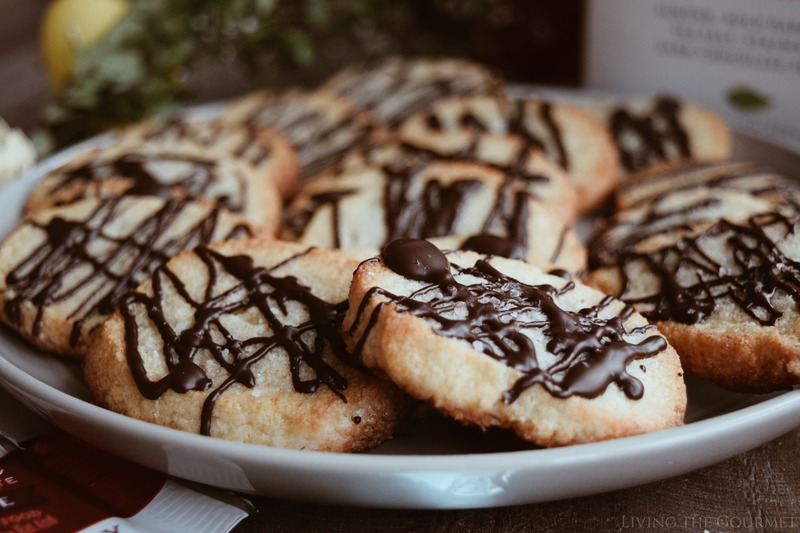 This Keto Shortbread Cookies look sooo delicious! Can i take a bite??! This is perfection!! Sweet and salty, plus its dark chocolate and it's keto. Literally, all my favorite things into one cookie. I love that I can enjoy these sweet treats and it won't throw me off my diet; they look delicious! 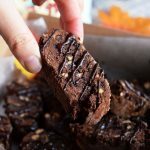 I am going to make these for my daughter's teacher; she would love these and has been really successful on the keto diet! These is such a great stuff, great recipe with that so tempting chocolate topping. I will definitely make this at home. Thank you for this wonderful recipe. I love cookies too!!! But I just find it too tedious to make, although I haven’t really attempted at making one, haha. 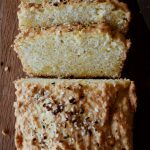 I am so interested with this keto bread, it looks so delicious and it has a very short cooking time. Those look some mouthwatering and healthy cookies. I would love to prepare them. Those cookies look so divine! The first pic makes me feel like having a cookie right now! Never imagined eating keto cookies. But the photos were truly delicious. 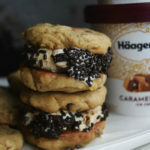 Will definitely make this on sunday. Can't wait to have a bite of these keto cookies.